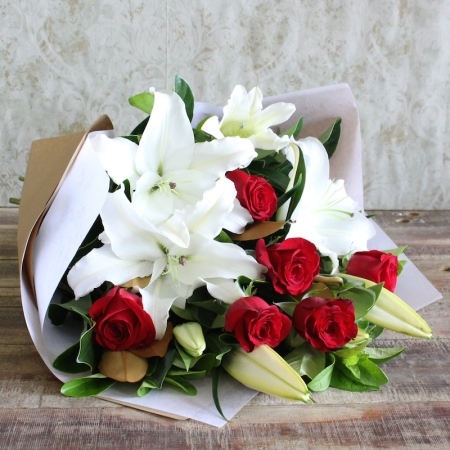 Who can resist this classic bouquet of Red Roses, complimented by the stylish white Oriental Lilies. `Incredible Velvet` is a luxurious gift that will make your loved one feel so special. The sweet perfume of the Oriental Lilies with bring a fresh feeling into any home. Order now to add style, culture & passion to that special occasion.